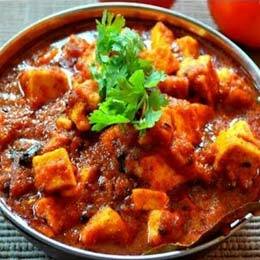 Treat yourself to this fine subzi, made in traditional kadai paneer style, spiced up with an assortment of spices and pastes. 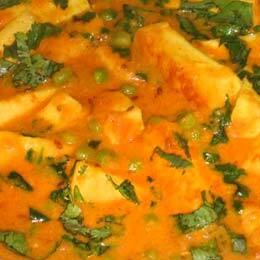 The addition of dried fenugreek leaves gives the Kadai Paneer Subzi its characteristic taste, while capsicum and tomatoes complement the paneer well in texture, flavour and volume too. 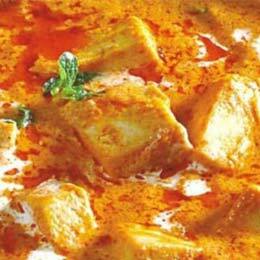 The tinges of ginger and garlic add a pungent dimension to this flavourful dish, which goes very well with puris and rotis. For a complete meal combo serve along with Dal Amritsari and Jeera Rice. Palak or saag is one of the favourite leafy vegetables in north Indian households. 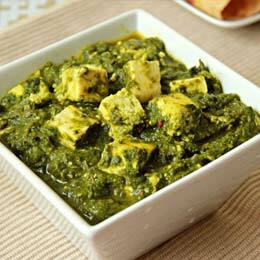 They use the versatile palak in a variety of preparations such as raita, gravy and even kofta!